Phonics is a method used to help teach literacy. 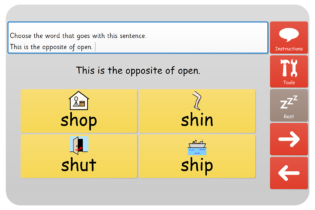 It is where we associate a sound with a letter and use these sounds to build words by connecting them together. So if we know the sounds for ‘d’, ‘o’ and ‘g’, we can make the word ‘dog. Why use Phonics for All? 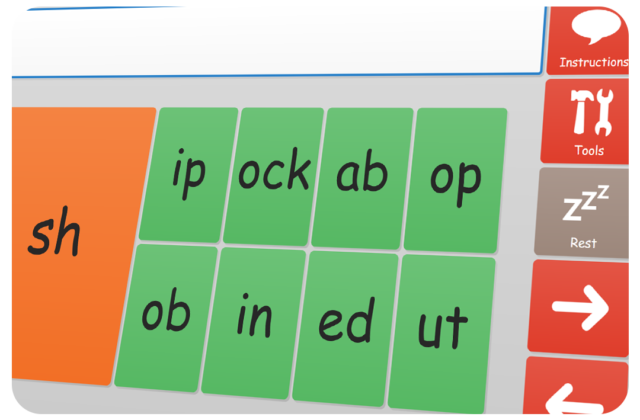 Phonics for All is a complete tool to support learners on their way to using synthetic (blended) phonics. It has been designed to support a range of access methods. 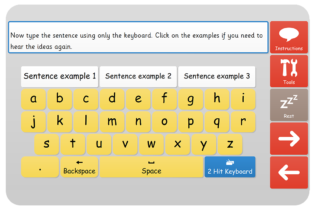 There are two keyboards built into Phonics for All, enabling students to experience and rehearse all of the common units of sound that make up the words we use every day. 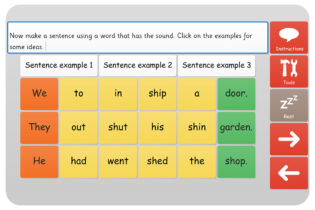 Comprehension activities are built into every unit, so students with complex needs can begin to read for meaning alongside their acquisition of phonic knowledge. This means that students who are still learning phonics aren’t left behind their classmates. The scheme meets the needs of students who need more time to absorb learning, and supports the need for repetition and over-learning. Follows a simple structure that complements school’s normal phonics programmes. 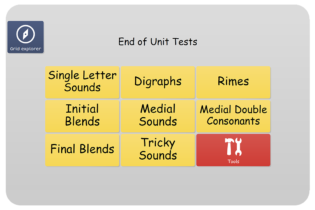 End of unit tests can be used to assess a student’s needs and progress. It is easy to create PDFs of students’ work so they can be saved or printed out for marking and recording progress throughout the scheme. The Phonics for All scheme has been designed to encourage independent learning. Students can continue tasks in their own time, working through the units unaided once they are familiar with the learning format. 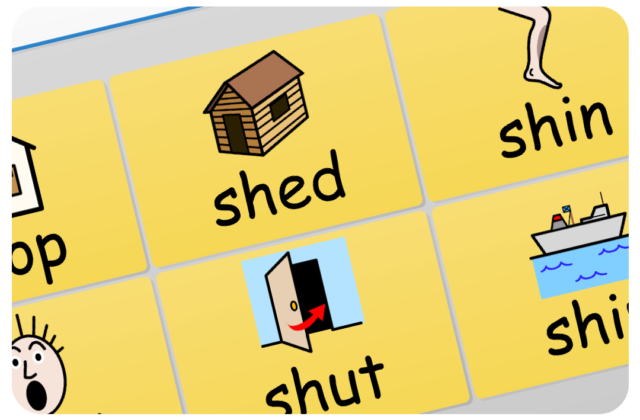 Phonics for All can be used in a classroom setting as well as by individuals. Students without speech can then join in using their synthetic practice grids and repeat tasks later to support their learning, if needed. From the first single letter sounds unit inner speech is encouraged with the interchange of symbols, letters and supporting sounds. Students can also rehearse sounds, learning at their own pace. 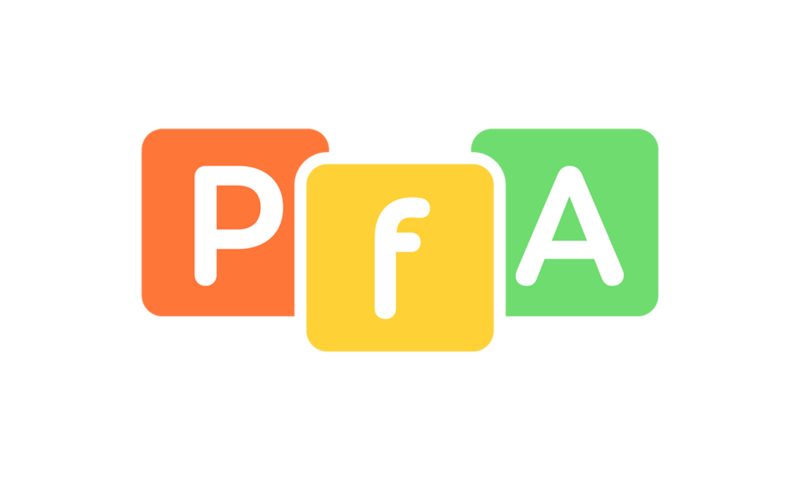 Phonics for All is built on extensive research that analyses the problems AAC users face when learning to read and write – conducted in the UK and USA. Particularly that of Karen Erickson who has studied in this field for many years. 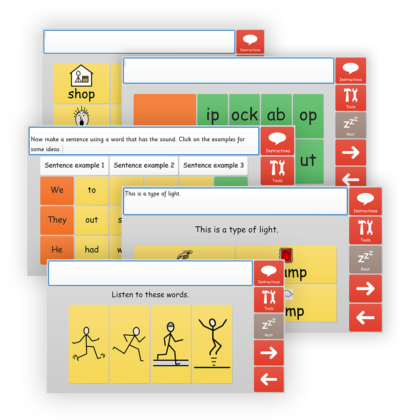 Phonics for All was created by Special Educational Needs teachers and AAC practitioner Marion Stanton. It was developed after trialling the idea for over fifteen years with a number of students, many of who have gone on to become literate. She has worked with Speech and Language therapists, as well as teachers and families, to ensure that the programme meets the literacy acquisition needs of the students.